The past couple days I’ve been experimenting with stack n’ whack block making. This is a simple and fast fast fast way to make blocks. 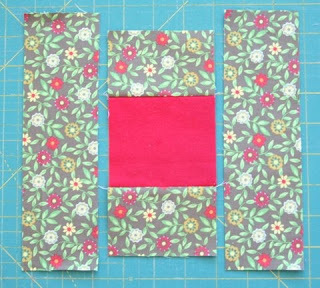 The blocks below finish up at 7 1/2” square but there are instructions at the bottom if you want larger blocks like in the orange quilt. 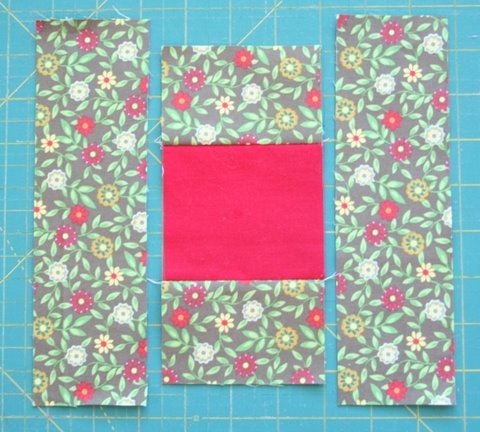 You can also make these “wonky” like in the Baby Boy Bug Quilt, just cut one side slightly smaller or larger and cut your square off center, then sew them together normally as shown below! 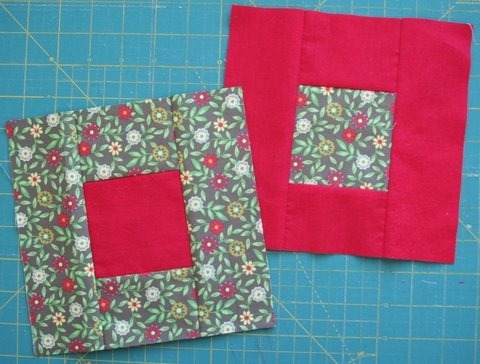 Start with two 8 1/2” squares. Make a cut 2 1/2” in from each side. Cut the center strip horizontally 2 1/2” in from the top and bottom. 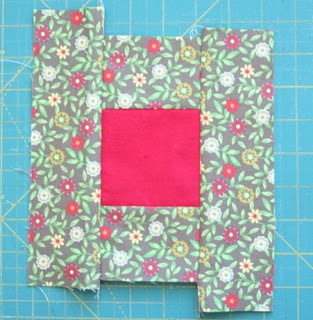 Sew the center strips back onto the new center square, right sides together and press out. 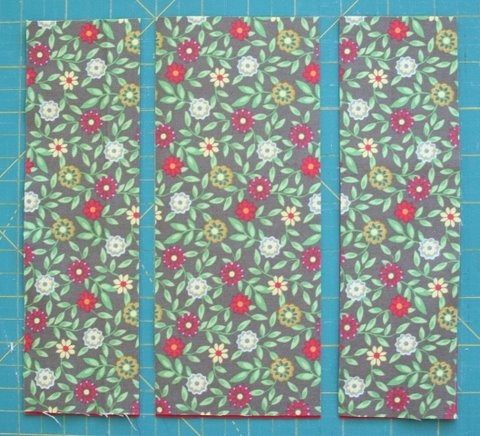 Sew the side strips onto the center strip right sides together and press out. Don’t worry about lining up the side strips as you’ll be trimming off those extra pieces anyways. 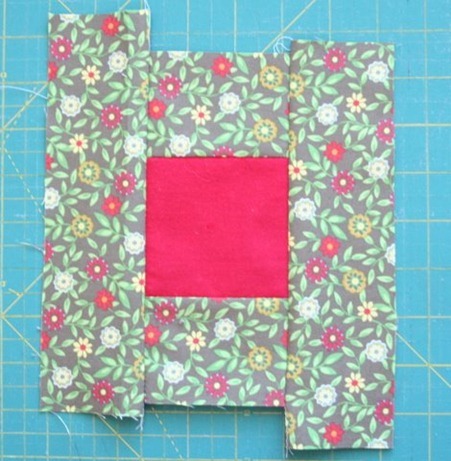 Trim off the top and bottom first, and the sides 1/4” or so until you have a square block that is 7 1/2” square. 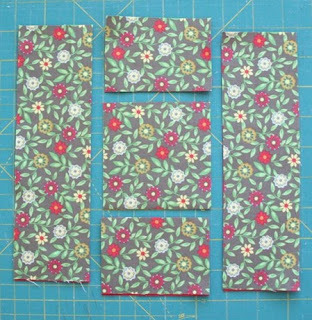 If you want a larger block….lets say 8 1/2” finished, start with a 9 1/2” square and use the same cutting instructions and sizes. 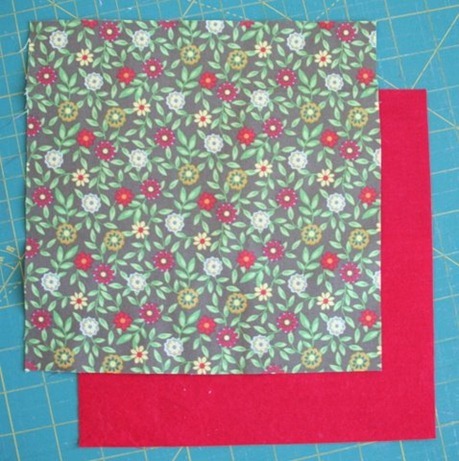 That will give you this same block as in the orange quilt….just easier. To make the same quilt with 72 blocks, start with 36 colored squares and 36 white squares, then stack n’ whack away to make it extra fast! Thanks for this. I do like quick and easy cutting. Love the "orange quilt". what a great idea! I hate cutting, so this seems easier! 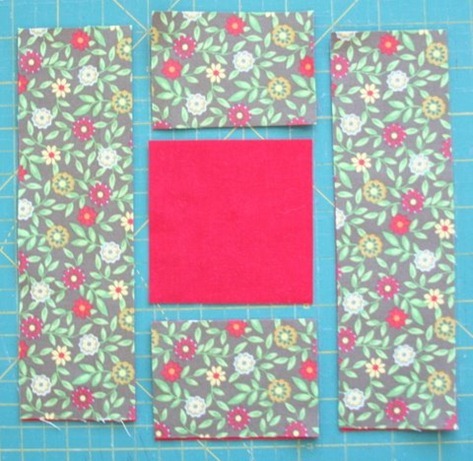 I am a papercrafter and I think this type of layout would look good on a scrapbook page as well! Hmm, I'll have to try this, it looks like it might be quicker than regular cutting. What a great tip – thank you! LOVE the orange quilt! 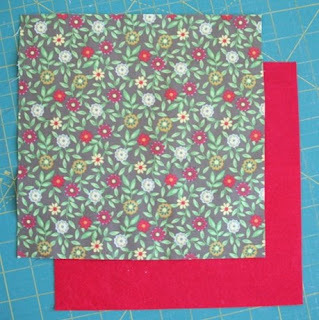 I'm so glad to get insight into making this quilt. Your orange version is so lovely and ought to be aptly named: "Creamsicle". Sorry….the hot weather and ice-cream have taken over my brain. thanks a million for this tutorial. I love these blocks and i didn't know how to make them. you make it seem so easy that i'll try to do it soon. i share the links to my favourite tutorials in my blog, redirecting people to the blog where the tutorial was posted, so I'll add this one too. 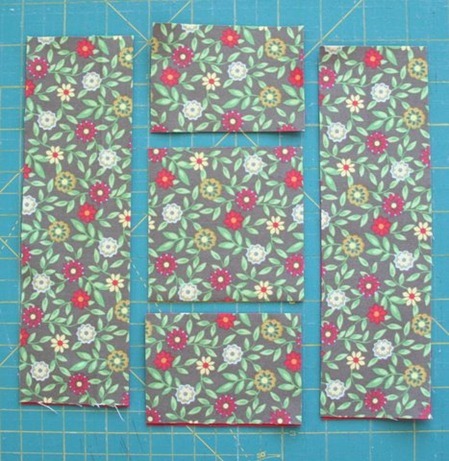 This looks like a great use for one of my layer cake packs. Thanks for showing how you would do this! I love this method and the blocks look great! Thanks so much, I'll be linking. 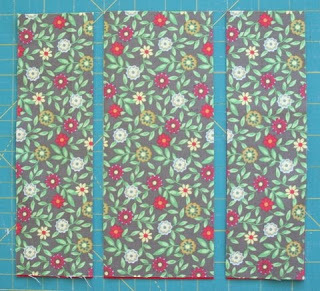 I just ordered fabric for a baby quilt and I want to do this one!! I'll send a pic when its done :) Thanks for the super easy tutorial! I like this. If you wanted it even bigger with less cutting you could use a layer cake. They come 40-42 squares in a package. I watch for them on sale so there not to expensive.